Expanding out of a single object here a little bit, and expanding the colors in my painting. 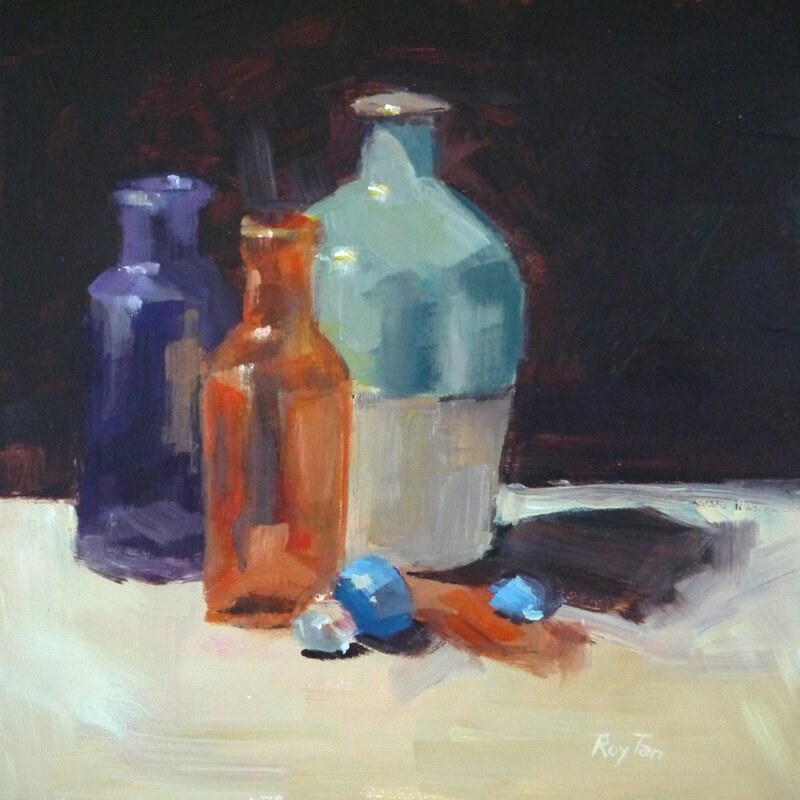 That orange bottle is fast becoming a favorite painting subject! I played a little bit fast and loose with the drawing, trying to get the painting to breathe by not worrying too much about getting everything right.